Anthony Burgess was one of the most prominent English writers of the 20th century. Go through this biography to learn more about his profile, childhood, life and timeline. 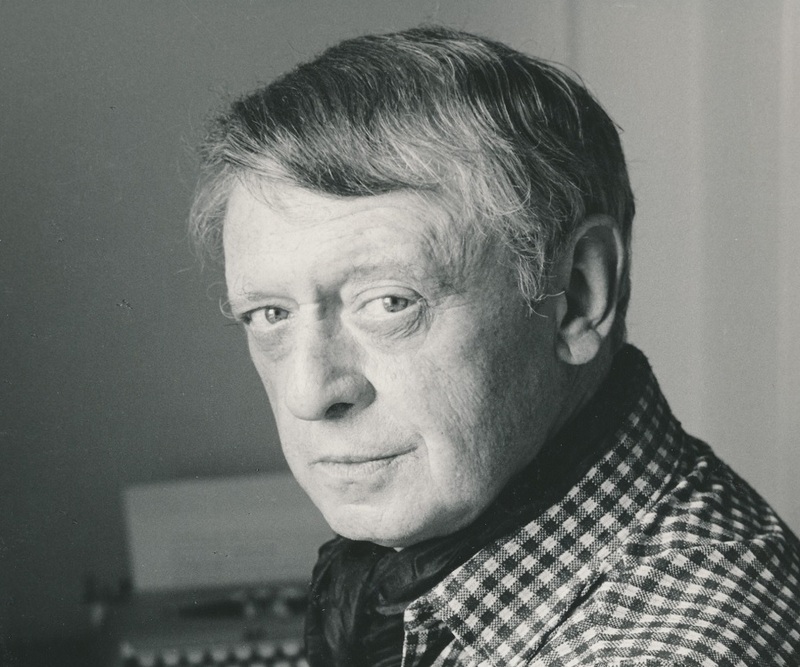 Anthony Burgess was a well-known English writer and an accomplished musician in his own right, whose reputation rests on his exclusive, futuristic works and his repertoire of music. During his lifetime, he produced over thirty novels and indulged in the studies of language, films, opera librettos and Shakespeare. Apart from writing his own works, he produced several translations of the works of a number of other authors in languages including Russian, Indonesian, Gaelic, Swedish and French. A man of wit and determination, he scorned those who lacked motivation in life and befriended surrender. Some of his best-known works include ‘A Clockwork Orange’, ‘Earthly Powers’, ‘The Right to an Answer’ and ‘One Hand Clapping’. One of UK’s leading academicians of his time, he was among the most respected literary figures in the world. In his lifetime, he also tried his hand at working as a translator, broadcaster, educationalist, essayist, poet and playwright. His literary output has been invincible and was one that denotes his sheer brilliance. 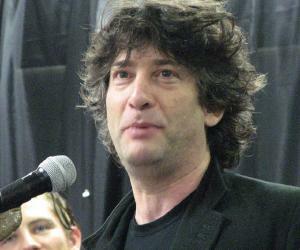 He was honored with a number of accolades and was also an inductee of the Royal Society of Literature. John Anthony Burgess Wilson was born in a suburb in Manchester, England. He was raised as a staunch Catholic from a very young age; influences of which were seen in his later works. Growing up during the Great Depression, he saw a lot of poverty around him. His sister and mother died in 1918 and he was sent to be raised by his maternal aunt. His father remarried and Burgess moved back to his father to be raised by the newly married couple. By 1938, his father had died from cardiac failure and influenza, leaving no inheritance, showing that the father-son relationship was a strained one. He studied at St. Edmund’s Roman Catholic Elementary School, Bishop Bilsborrow Memorial Elementary School, Xaverian College and then finally at Victoria University of Manchester, graduating with a Bachelor of Arts degree in English language and literature, instead of the music degree he wanted to pursue. In 1940, he spent six weeks as an army novice in Eskbank before he was enlisted in the Royal Army Medical Corps. He was very unpopular during this time and was resented by many of his peers. In 1942, however, despite all the antipathy, he was promoted as a sergeant and transferred to the Army Educational Corps. During his time with the army, he worked as a training college lecturer and was the instructor for the Central Advisory Council for Forces Education. His flair for different languages was noticed during his time with the Army and his skills were used during Dutch interrogations. He quit the army in 1946 and taught at the Mid-West School of Education near Wolverhampton and at the Bamber Bridge Emergency Teacher Training College for the next four years. In 1954, he worked as education officer and joined the British Colonial Service in Malaya. He taught at the Malay College, where he was also additionally given the responsibility of being housemaster for children in preparatory school. In 1956, he composed a symphony called ‘Sinfoni Melayu’, based on his experiences in the Malay land. Since he was living in a noisy apartment, he was shifted to Malay Teachers’ Training College at Kota Bharu, Kelantan. Here, he became fluent in written and spoken Malay and was even awarded a distinction for the same. He penned his first novels, which was a Malayan trilogy titled; ‘Time for a Tiger’, ‘The Enemy in the Blanket’ and ‘Beds in the East’ from 1956 to 1959. These three books were once again compiled and published at a later date under the title, ‘The Long Day Wanes’. He was diagnosed with an inoperable tumor around this period and was called home in 1959. He wrote a number of works during his time so that he could collect finances to support his wife, who he believed would become a widow in a short span of time. He spent this time in a London hospital, but after several cerebral tests, no illness or tumor was detected. It was during this time he decided he would become a full-time writer. In 1960, he penned the dark comic, ‘The Right to an Answer’. It is widely regarded as one of his most interesting works. During his time in Brunei as a professor, he outlined the novel, ‘Devil of a State’, which was published in 1961. It is regarded as the ‘fourth’ of his exotic, far-east novels. He also published ‘One Hand Clapping’ and ‘The Worm and the Ring’ the same year. In 1962, he published his best-known work, ‘A Clockwork Orange’, which was written in first-person account and in partial Russian. The following year, he authored another novel, inspired by one of his sea voyages and titled it, ‘Honey for the Bears’. In 1964, he published the fictional biography of William Shakespeare titled ‘Nothing Like the Sun’. From 1970 to 1976, he taught in the United States. He was a visiting professor at Princeton University and was also a professor of the City College of New York. He then went on to teach creative writing at Columbia University and became a writer-in-residence for University of North Carolina at Chapel Hill and at the University of Buffalo. During this time, he also authored the fictional novel, ‘Napolean Symphony: A Novel in Four Movements’. In 1976, he settled in Monaco and was the co-founder of the ‘Princess Grace Irish Library’. The same year, he also penned ‘Beard’s Roman Women’. From the end of the 70s to the beginning of the 80s, he penned ‘Man of Nazareth’, ‘Earthly Powers’ and ‘The Kingdom of the Wicked’. In 1980, he co-wrote the script for the popular TV series, ‘Sherlock Holmes and Doctor Watson’. He created an operetta called ‘Blooms of Dublin’, which was performed for the first time during the Dublin Joyce Centenary, in 1982. The musical play was based on Joyce’s ‘Ulysses’. In 1991, he authored a novel based on the life of Wolfgang Amadeus Mozart titled, ‘Mozart and the Wolf Gang’. The novel fictionalized his famous ‘Symphony No. 40’. His last novel, ‘Byrne: A Novel’ was published posthumously in 1995. One of his novels, largely considered his magnum opus, was published in 1962 and was titled, ‘A Clockwork Orange’. 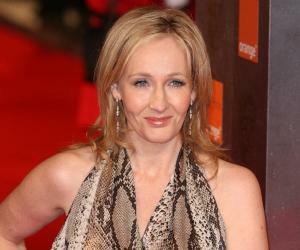 As of 2005, the book was included in ‘Time’ magazine’s list of ‘100 best English-language novels written since 1923’. The book was also included in the list of ‘100 best English-language novels of the 20th century’ named by Modern Library. The book became so famous that it spawned a number of film adaptations including ‘A Clockwork Orange’ and ‘Vinyl’. He was appointed as a Fellow of the Royal Society of Literature. He achieved the prestigious ‘Commandeur des Artes et des Lettres’; an honor from France and also became the ‘Commandeur de Merite Culturel’ in Monaco. 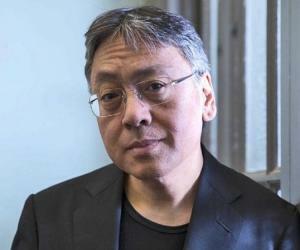 His novel ‘Earthly Powers’ was shortlisted for the Booker Prize. He married Llewela (Lynne) Isherwood Jones on January 22, 1942. While he was serving the army, his pregnant wife, Lynne was beaten up and raped by American fugitives, which is listed as a possible cause for her eventual miscarriage. 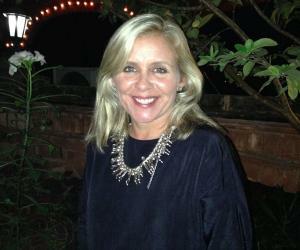 He met Liana Macellari, who was 12 years younger to him, in Chiswick. The two had an affair and Liana gave birth to their son, Paolo Andrea. At the time he was having an affair with Liana, he was still married to Lynne, who died of liver failure four years after the birth of Paolo. After his first wife’s death, he married Liana in 1968. For most part of his life, Burgess avoided paying tax. In order to avoid the tax, the family left from their home in Britain and toured Europe in a motor-home. Towards the end of his life, he lived in Twickenham, a suburb of London. He passed away due to lung cancer at the Hospital of St. John & St. Elizabeth in London. At the time of his death, he was a multi-millionaire with a number of properties and houses in his name around Europe. In 2012, a plaque at the University of Manchester was unveiled and dedicated in his honor. 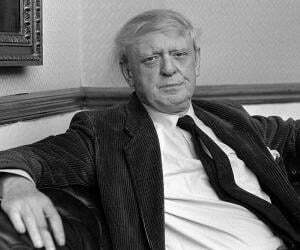 The plaque read ‘The University of Manchester commemorates Anthony Burgess, 1917-1993, Writer and Composer, Graduate, BA English 1940’. This famous English writer, musician and playwright wrote under the alias of ‘Joseph Kell’ sometimes. In addition to English, this famous English writer of the ‘A Clockwork Orange’ fame could speak in six languages.